Over the 15th-16th of January, the DusitD2 hotel complex in Westlands, Nairobi, Kenya, was subjected to a terrorist attack by Al-Shabaab, a jihadist terrorist group based in Somalia. Luckily, the death toll was much lower than the catastrophic Al-Shabaab attack in Westgate Mall (Also in Westlands, Nairobi) in 2013, which 64 victims died. This seems to have been a consequence of a much improved response from authorites, and the security measures/layout of the Hotel. Nevertheless, 21 persons on the site were killed. Unusually for many of such attacks, clear images of the attackers and their weapons have since become available. These include both small arms and grenades of all 4 of the Terrorists, all of whom were neutralised through the efforts of the Kenyan Authorities and a measure of assistance from a member of the UK SAS Reserves. 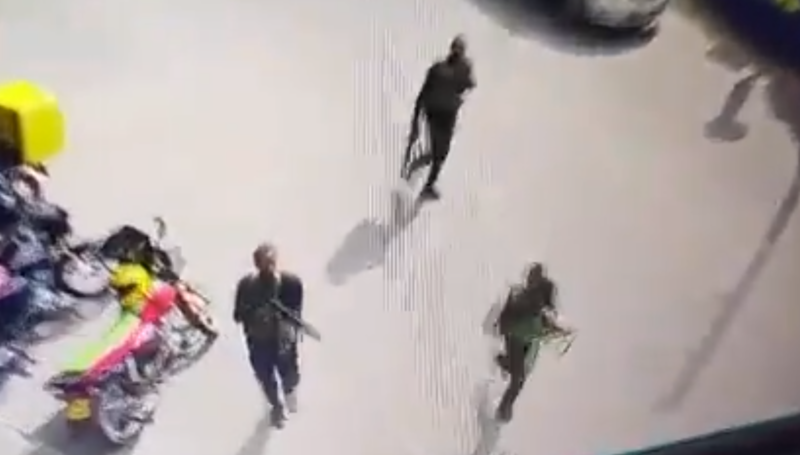 All of the attackers appeared to be armed with AK-pattern assault rifles, as shown in some rather blurry CCTV footage. 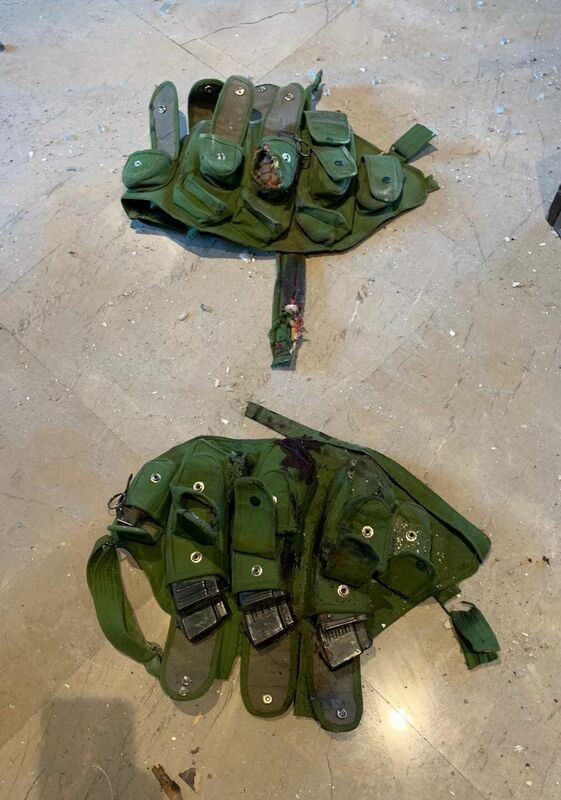 This is further confirmed by an image originally posted to Twitter of two of the attacker's assault rifles. At top, the Chinese Type 56-2. 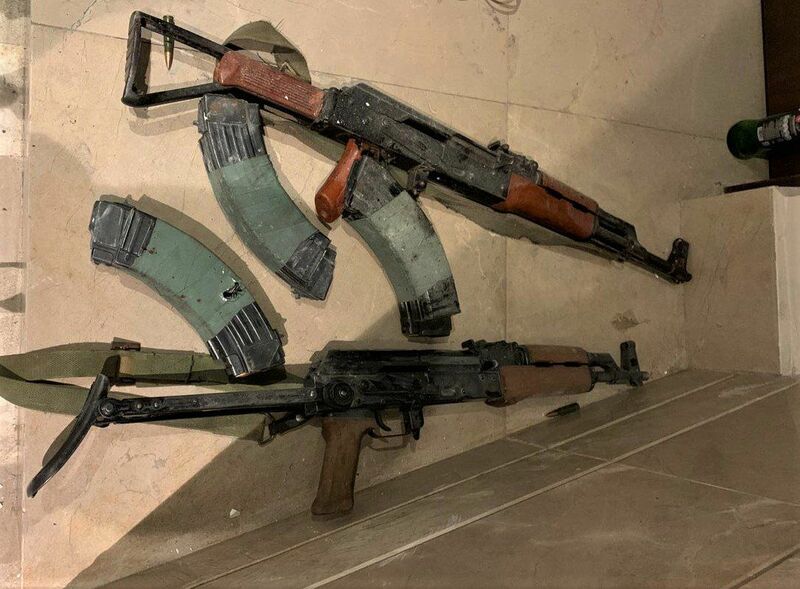 The Type 56 family (Type 56-1 with an AKMS-style underfolding stock, Type 56-2 with side folding stock, and original Type 56 with fixed wooden stock) are very common across Somalia, the likely source of the guns, and have also been seen in Police use in Kenya. The Type 56-2 has a stamped receiver and a distinctive folding stock with a plastic section over some of the metal. Otherwise, the Type 56-2 is very similar to the original AKM, with only minor differences otherwise. These rifles are cheaper than the AKM and have probably been even more widely sold in Africa than the original. They are manufactured in various factories by the massive Norinco arms company, and production continues today. Being a low-cost, reliable firearm, it is no surprise that Al-Shabaab chose to use this gun in their attack. The rifle at the botttom is a Hungarian AK-63D. 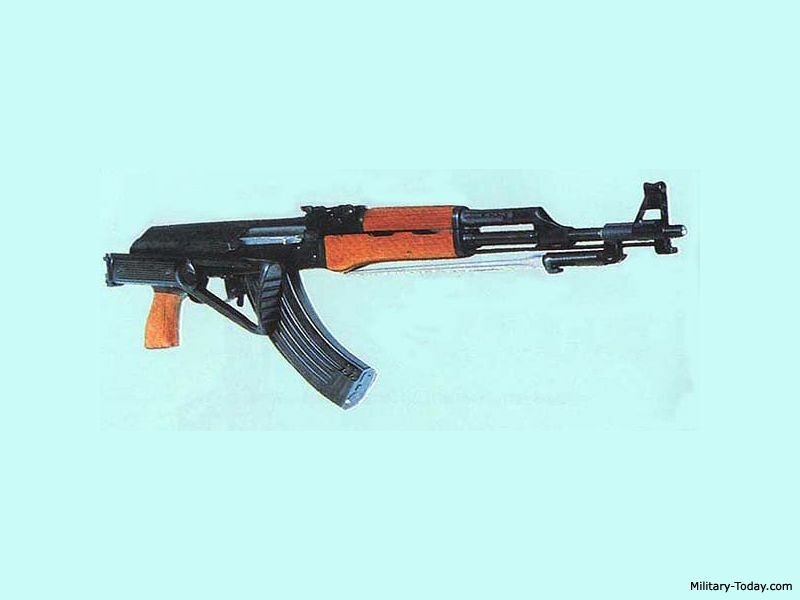 The AK-63 series (Including a version with a solid wooden stock, the AK-63F) are again closely based on the AKM rifles, yet differ again from the original, most obviously in the pistol gip. This type produced by FEG prior to 2004. However, this rifle is not how it comes from the Hungarian factory. The barrel has been cut down, so the front sight block is extremely close to the end of the gas block. It can also be observed that the normal slant-style muzzle brake is missing, probably as a result of the shortening process, which is rather common practice intened to make the rifle easier to handle in close combat, and often also simply for appearances' sense, with militant groups across the world, from Afghanistan to Syria, opting to so. Given the attackers' obvious preparations for a drawn-out close quarters gunfight, it seems that this modification was likely not just for looks. 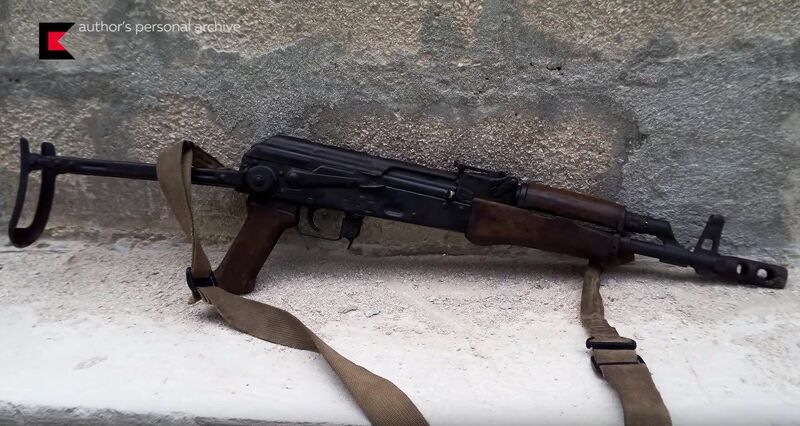 Curiously, examples exist online of AK-63Ds modified in an extremely similar fashion in Somalia, possibly by terrorists there. What can also be observed next to the rifles are 6 standard AK magazines. These can each hold 30 rounds of 7.62x39mm ammunition, and are taped together in pairs. This practice is called "jungle taping" and is used all over the world by many militant groups, as well as some armies and police forces. It is a common technique used for fast magazine changes in rapid and urban combat, in lieu of magazine couplers or extended magazines. The use of this technique suggests some experience with fast paced combat, but also may be a case of simply following militant tradition from the Mujahideen in Afghanistan to the present day, a sometimes unneeded practice that while looking the part may not assist the user much if at all.This technique does add considerable weight to the weapon, however, so is not always found to be worth the faster time to reload. However, if the attacker's intention was to cause a mass casualty event, as appears to be the case, the ability to carry additional rounds in an easier manner would be morbidly useful for the attacker's malign interests. 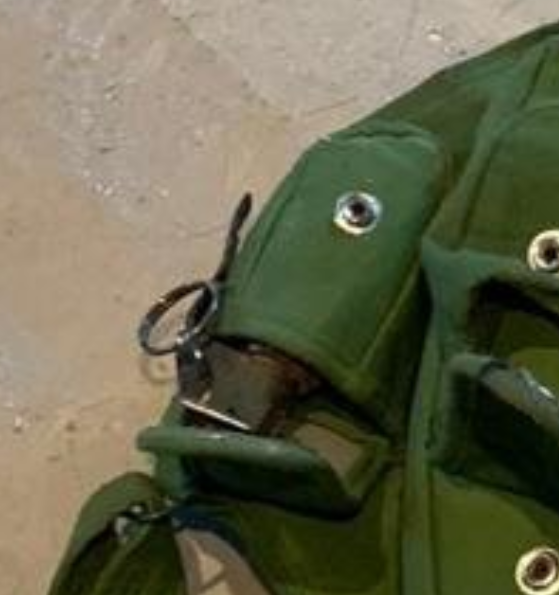 The magazine rigs used by the terrorists appear to be inexpensive items, very similar to what can be found on shopping websites such as AliExpress, but are basic enough to be fabricated in Somalia or Kenya. Regardless of their perhaps low quality construction and simple design, they appear to be able to carry no less than six AK-pattern magazines, and five grenades. This would give each attacker, assuming that they also would have a magazine (Jungle taped to another) in their rifles, the ability to carry no less than 240 rounds, each, as well as the grenades- not counting any other ammunition carried. This amount of ammunition seems to signify that the attackers were prepared for a long and deadly fight, similar to the 2013 attack. It's believed that the attackers also brought food and water for such purposes. The grenades used by the attackers are a very curious combination. They are Soviet F1 Grenades. These is are anti-personnel fragmentation grenades originally produced by the Soviet Union from 1941, and subsequently produced by many nation states, not least China as the Type 1. Although it is now an antiquated design, the F1 remains deadly, and as many millions have been produced, it still can be found in many war zones. However, as the fuzes may be stored separately or can degrade, older examples such as this rusty one may be unreliable or dangerous to the user. 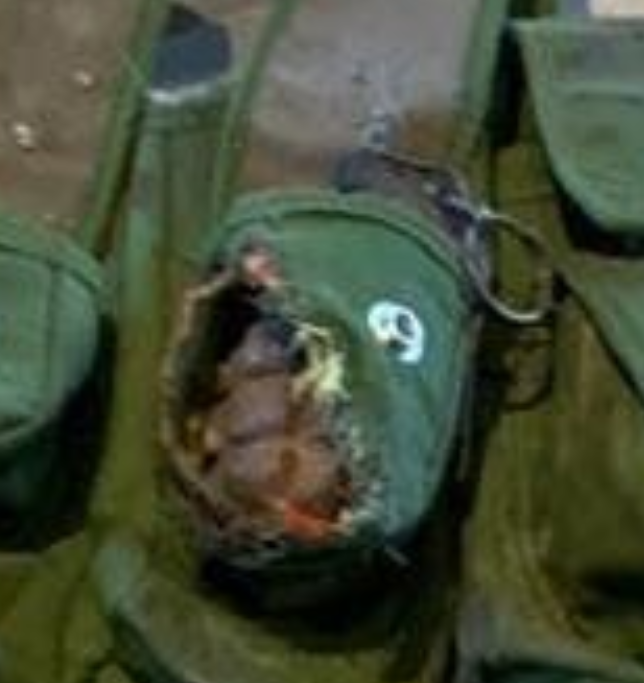 In this case, it seems that Al-Shabaab has chosen to replace (Or even in lieu of, if the grenades were captured without fuzes) with fuzes from a much more modern series of grenades, the fuze from the M72/PRB Nr432. The M72/PRB Nr432 is a modern Belgian Hand Grenade, currently in use by the Belgian Military, among others. 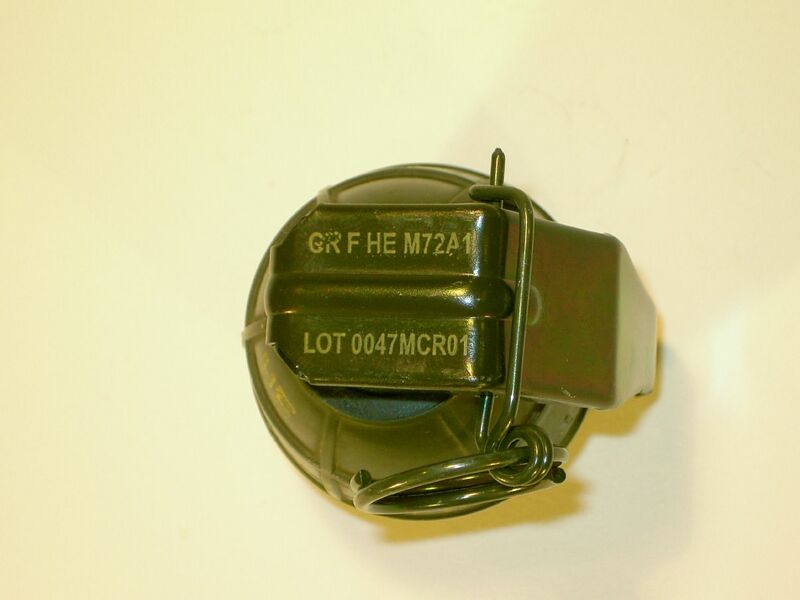 An example of the fuze lot number is 0045MCR01, seen below, likely from the Mecar SA production line in Petit-Roeulx-lez-Nivelles, Belgium. This fuze is completely atypical to the F1, and would not usually be seen attached to such a munition at all. 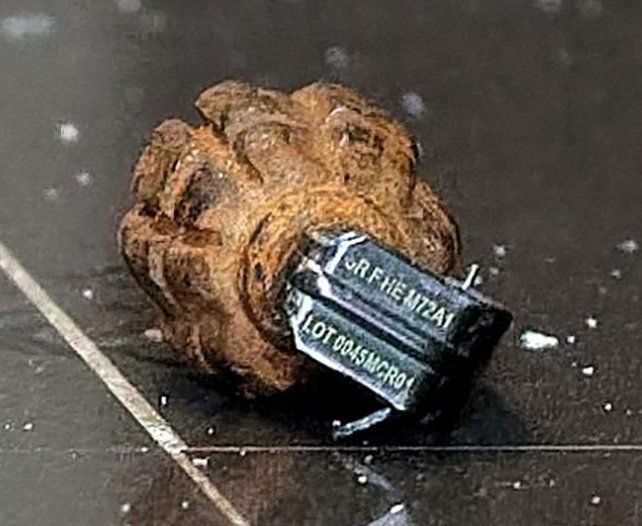 Further images show that the attackers had up to five of these particular adapted grenades each, showing a certain level of standardisation and preparation. It remains unclear whether the matching of modern fuzes to old F1 grenades was a result of pure necessity as each were captured separately, or whether the militant group used the aquired fuzes to bring back to use older, previously unusable grenades that could not previously be relied upon to function due to damaged or degraded fuzes. Either way, these grenades appeared to function. Given the very clear lot numbers on at least one of the fuzes (Seen above), tracking of the origin of these fuzes should be possible. Regardless, it is very likely that they originated in Somalia. The Al-Shabaab terrorists that attacked the DusitD2 hotel complex clearly were organised and prepared for a large mass-casualty event, with hundreds of rounds being stored in standardised chest storage. Whilst no handguns were spotted, they also had somewhat consistent rifles and grenades, with all equipment appearing to be functional, in particular the rifles. Evidently they were determined and intending to cause carnage, but opted not to wear body armour. This aligns with reporting on the long term preparations of the attackers, who luckily did not succeed to the degree they desired. 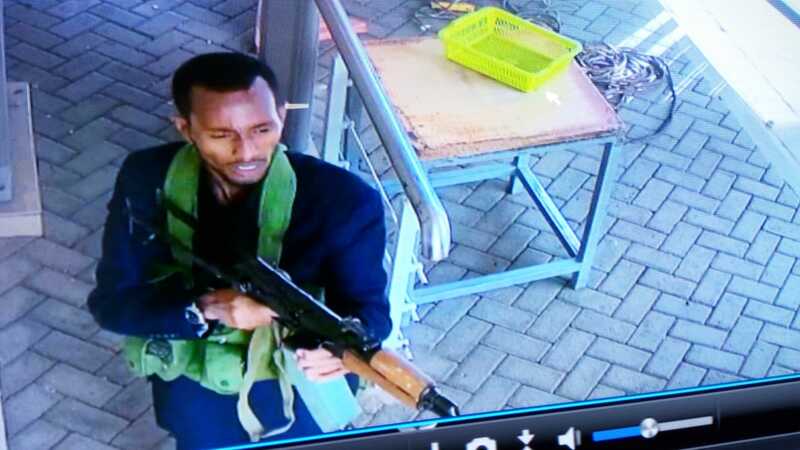 The origin of all the arms shown above is somewhat hard to determine, but given the amount of AK-platfrom rifles in the Area, both Kenya itself and Somalia are possible. However, given the very high amounts of arms transfer in war-torn Somalia, and the relatively new appearance of the arms, as well as the origin of the militants, I believe Somalia is the most likely source.